French translation created by Vicky Rotarova. German translation created by carinmydna.com"
Hindi Translation created by ClickSpeedTest.com. Kazakh translation created by Alana Kirimova. Spanish translation created by emfurn.ca. Over the last few decades, there has been an alarming increase in the incidence of several syndromes that affect both the physical and mental health of children and adults, especially in the United States. These include the obesity epidemic and metabolic syndrome, the alarming rise in the incidence of autism, the steady increase in food allergies among children, and the rise in the new brain disease termed "attention deficit hyperactivity disorder." To understand what might be causing these conditions, we need to look for substantial changes in lifestyle that have occurred between the last forty years and the previous forty years. Two lifestyle changes that occurred almost simultaneously in the late 1970's are the practices of avoiding dietary fat and avoiding sun exposure. These practices have since gained a persistent strong endorsement by our government and medical experts, which has led to the almost unshakable belief across our population that avoiding dietary fat and sun exposure are healthy choices. I believe that these practices are in fact unhealthy, and are the underlying causes of the above mentioned diseases. While people mistakenly believe that eating fat will lead to obesity, I have come to believe the exact opposite: that not eating enough fat can lead to obesity. I have elaborated on my arguments in a recent blog post on the obesity epidemic, and associated metabolic syndrome in America, where I claim that nutritional deficiencies in vitamin D, calcium, and dietary fats can account for most of the symptoms associated with metabolic syndrome. Previously, I developed an argument that the alarming rise in the incidence of autism in America may also be attributable to maternal deficiencies in these key nutrients, especially when the pregnant mother is sufficiently disciplined to remain thin despite strong temptations to eat. In this essay, I will develop a theory that Attention Deficit Hyperactivity Disorder (ADHD), a disease that barely existed before the 1970's, but is now steadily increasing in incidence rates in the United States, is also likely caused by inadequate dietary fats, with a possible contributory role played by vitamin D deficiency. The American medical establishment continues to aggressively promote low fat diet, while Americans continue to grow in size and the autism epidemic keeps getting worse. By avoiding fats, Americans instead tend to eat an excessive amount of high-glycemic index carbs -- highly processed foods that digest very quickly and cause the blood sugar level to spike. This eventually leads to insulin resistance and type-II diabetes. Meanwhile, insufficient fat in the diet results in an unstable supply of fuel to the heart and fat resources to the brain. The brain utilizes only glucose for fuel, but fatty acids are essential to construct its neural connections. Why Ritalin alleviates the symptoms. I will also explain why I think that the widespread practice of drugging children with Ritalin, while clearly effective in promoting learning in the short term, is leading to a number of looming crises down the road, including drug abuse among non-ADHD children, and serious health issues later in life, such as heart disease and Parkinson's disease. Although many theories have been investigated, the cause of ADHD remains a mystery. None of the results of the experiments have led to a clear and compelling outcome. A nutritional deficiency of some sort remains high on the list of candidate causes (Dietary Theories for ADHD) . Potential deficiencies in several different vitamins and rare metals, such as zinc, magnesium, iron, and vitamin B6 have been posited, but in controlled studies, supplements have failed to show statistically significant improvements. The fact that ADHD appears to be especially prevalent in America suggests that it has something to do with differences between the American diet and the diet of other countries. To me, the most obvious difference is America's obsession with low fat diet. Today it is practically impossible to find full-fat yogurt at an American grocery store, and non-fat or low-fat products crowd out the full-fat versions of the same things on grocery shelves. Marketing ploys are proud to boast that a given product contains little, or, better yet, no, fat. The nutritional theory for ADHD that has gained the most traction is that it may be caused by a deficiency or imbalance in essential fatty acids. These are omega-3 and omega-6 fats, which are widely available in meats, fish, and eggs. Humans are unable to manufacture these fats naturally from other dietary sources. While omega-6 fats are also found in vegetable oil, omega-3 fats are only abundant in animal fat, especially cold-water fish. Experiments that provide ADHD children with an omega-3 supplement have shown modest but encouraging results. However, I'm not proposing simply adding an omega-3 pill alongside the Ritalin tablet. I'm proposing that the cheerios and skim milk for breakfast be replaced with bacon and eggs; that the diet coke for lunch be replaced with whole milk, and the lean turkey breast in the sandwich be replaced with dark tuna, peanut butter, or liverwurst (a healthy choice that has all but disappeared from America's grocery shelves). Another theory suggests that ADHD may be due to too much dietary refined sugar . This theory also makes sense because the near absence of fat, coupled with an overabundance of high glycemic index foods, leads to a wildly unstable food supply in the blood. Glucose levels in the blood skyrocket immediately after a meal, and this triggers a sharp increase in insulin supply, rushed out by the pancreas to process the glucose. However, as long as the insulin concentration in the blood is high, fats that are stored in fat cells remain inaccessible and are not released into the blood. Many of the body's cells can utilize either glucose or fats as fuel. However, the brain can not utilize fats for fuel, but, critically, needs fat as raw material for construction of its network of nerve fibers. This is especially true for a growing child with a maturing brain. The brain needs a simultaneous presence of adequate glucose and adequate fat, something that is very hard to achieve when fats are unavailable from food sources, and high glycemic index foods are abundant. Previous experiments conducted to test whether too much sugar causes ADHD involve substituting aspartame (a zero-calorie sweetener) for sugar . I am not surprised that these experiments have failed, because aspartame is arguably even more damaging than sugar: the sweet taste on the tongue triggers the release of insulin, but there is no sugar for the insulin to break down. Hence the insulin lingers longer in the blood and fat release from available stores is further suppressed. There is a strong genetic component to ADHD, i.e., it tends to run in families . But this does not mean that the cause is genetic. Instead, genetic factors predispose individuals to develop alternative strategies for coping with nutritional deficiencies, that lead to different, but perhaps equally damaging, health issues. I would argue that, in the case of ADHD, genetics determine how the body manages homeostasis in the face of excess carbohydrates along with dietary deficiencies in essential fatty acids. (With respect to nutrition, homeostasis refers to the maintenance of a stable supply of glucose and fatty acids in the blood under varying conditions of food supply.) Studies to determine which genes are involved in ADHD have turned up hundreds of genes that play a role, but each gene has only a very small influence, so the relationship to genetics is extremely complex. It appears to me that at least two complementary coping mechanisms have been developed in different segments of the population to adjust metabolism for dietary fat deficiency. One coping mechanism, which I described in my essay on obesity, involves storing a steadily expanding "silo" of fat reserves on the body. The alternative mechanism, which I now believe is the one adopted by children with ADHD, is to implement a fat conservation mode: to manipulate the body's energy requirements towards favoring glucose over fat, while simultaneously stunting growth and compromising brain development. While in my essay on obesity I argued that the obese suffer from defective glucose metabolism in the muscles, it appears that children with ADHD suffer from the exact opposite problem: very efficient glucose metabolism. Insulin is critical for the metabolism of glucose. When insulin levels are high, body fat cells are unable to release their fat stores, as shown in the figure at the right [lipolysis = breakdown of fat tissue]. I have proposed that obesity is protective against ADHD because the abundant fat cells can release plenty of triglycerides into the blood early in the morning, before the first meal. This fat supply can tide the person over through the long fatty-acid drought that occurs during the day, while an abundance of high-glycemic index low-fat foods are consumed. A further advantage is that obese people typically have reduced insulin production (due to insufficient calcium, which I explain later), so the levels of insulin in the blood are never excessively high. Their muscle cells have been programmed to prefer fat metabolism, but there is also plenty of fat available from the triglycerides (released before the meal began) to supply the brain's raw materials to enhance communication through neural pathways. Furthermore, the glucose that is not consumed by the muscles is readily available as fuel for the brain, which does not depend on insulin to metabolize glucose. It seems that ADHD children have adopted an entirely different strategy for coping with insufficient fats in the food sources. Research has shown that many of them suffer from hypoglycemia (low blood sugar), because their insulin is extremely efficient -- the opposite of diabetes . In direct contrast with obese people, the fat cells of ADHD children program the muscles to prefer glucose over fat as a fuel source. This reduces the burden placed on the fat cells to convert glucose to fat, which is a very inefficient process. Furthermore, unlike the obese, ADHD children typically have no shortage of insulin, produced by the pancreas in response to glucose. Insulin enables the muscles to readily consume the glucose, but also unfortunately supresses the ability of the fat cells and the liver to release stored fats. If there is plenty of glucose in the consumed foods, and very little fat, then the muscles and brain consume the glucose, but the brain is deprived of sufficient fats to construct high quality long-distance neural connections. ADHD children have been found to have shrunken white matter in parts of the brain that are involved with focus of attention and learning new knowledge. I believe this is a direct consequence of a lack of a supply of fats, critically, when the neural pathways that make up the white matter are actively being formed. The body with inadequate fat supply in the food sources is essentially like a car engine running on only two cylinders. While it has been argued that the body can manufacture all the fats it needs from other sources such as glucose, this is not actually true. The body uses fats not only as an energy source, but also, crucially, as a component of cell walls and as the insulation that covers all nerve fibers, i.e., the myelin sheath, not just in the brain but everywhere in the body. Two specific kinds of fats, omega-3 fats and omega-6 fats, are called "essential fatty acids" (EFA's) because the body cannot manufacture them. It is essential to obtain them from food sources such as meat, eggs, and fish. Furthermore, the body cannot produce fat supply in the blood stream "at will." As I have mentioned previously, when insulin levels are high, the subcutaneous fat cells and the abdominal fat cells, as well as the liver, are suppressed from releasing their stored fats. When glucose is available, the fat cells are otherwise engaged in the task of taking up the glucose and converting it into additional fat supplies. The presence of insulin disables the process of lipolysis that is necessary before the stored fats can be released into the blood stream. A husband and wife team of nutrition experts, Fred and Alice Ottoboni, have published an excellent article on the theory that ADHD might be a nutritional deficiency disease . They draw analogies with Beriberi and Pellagra which became endemic in previous centuries as a consequence of significant dietary changes within a large population. The wholesale switch from brown to white rice in Asia in the 1800's led to many deaths from Beriberi, and the switch from meat, eggs, and milk to corn led to widespread Pellagra in western nations at the same time. They argue that ADHD may be a direct consequence of a large shift in dietary practices that has taken place in America over the last 40 years -- a shift towards increased consumption of processed foods containing an overabundance of sugar and starch, along with a dramatic shift in the sources of fat from meat, fish, and eggs to vegetable fats and oils. They express concern about both the high ratio of omega-6 to omega-3 fats (20:1) in vegetable oils, as well as their propensity to become highly damaging trans fats if overheated. They specifically mention the importance of DHA (docosahexaenic acid), found in meats and eggs, and AA (arachidonic acid), found in cold water fish. These authors cite a number of different studies that have shown a relationship between fatty acid deficiency and ADHD   or a decrease in brain size in ADHD children  . They also suggest that the observed difference in IQ between breast fed and bottle fed infants may be due to the higher concentration of DHA and AA in breast milk. This deficiency is now fortunately being aggressively corrected both in America and elsewhere in the world (Recommendations for AA and DHA in Baby Formula) , and we can hope that this will lead to a decrease in the incidence of ADHD looking forward. A study by Price on the health of isolated racial groups compared those who remained on their indigenous diet with those who transitioned to a western diet . The indigenous diet invariably contained essentially no empty carbs, and included large amounts of meat and fish. The children who switched to the "modern" diet showed symptoms of both physical and mental degeneration. Ottoboni and Ottoboni conclude with this rather ominous remark: "The choice seems clear. We can either continue to depend on prescription drugs to mask the symptoms of ADHD, or consider preventing ADHD by modifying the American diet, particularly for child bearing women and children. Should we decide to continue to depend on prescription drugs, which do not remedy the underlying causes of nutritional deficiency diseases, we can look forward to a country in which there will be more and more children with undersized brains who cannot learn, use costly prescription drugs, drop out of school, commit crimes, and cause anguish for their parents." 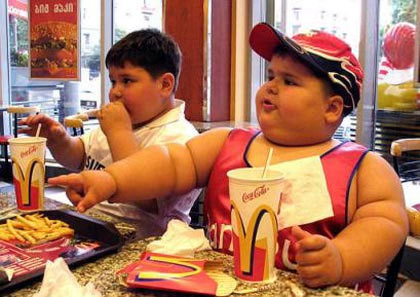 Children are especially vulnerable to inadequate fat suppply due to their rapidly developing brain. The brain does not consume fat as fuel -- this would be problematic because it would lead to a cannibalistic behavior where the brain would feed off of itself. According to the Franklin Institute, as much as two-thirds of the brain's mass consists of fats. The membranes of neurons consist of a thin double layer of fatty acid molecules. The myelin sheath that encases each fiber in the network of nerve fibers that make up the "white matter" consists of 70% fat and 30% protein. A child's brain is constantly laying down new connections and reshaping old connections to incorporate new experiences and knowledge into long term memory. This processing requires a steady and reliable supply of fats. Through a technique known as "diffusion tensor imaging" (DTI), scientists have been able to examine the brains of children with and without a diagnosis of ADHD (Brain Differences in ADHD) . They found several differences, most notably, in the volume of white matter connecting together the frontal cortex, basal ganglia, brainstem, and cerebellum. These areas are involved in higher level thought and reasoning, attention, impulsive behaviour, inhibition, and motor activity. Never-medicated ADHD children had noticeably smaller volume of white matter in these areas, compared to normal children or to ADHD children who had been treated with medications such as Ritalin. White matter consists of a massively interconnected network of nerve fibers, each of which is coated with a fatty myelin sheath that keeps the message insulated (i.e, keeps the signal strong) and greatly increases the transmission speed. 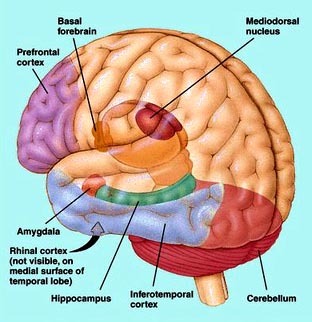 In order to focus attention, the brain releases the hormone dopamine from centers in the midbrain, and dopamine receptors transmit signals over long distance pathways to the frontal cortex, the basal ganglia, and the cerebellum, as shown in the figure on the left. Dopamine is a crucial hormone that orchestrates the brain's thought processes involved in maintaining attention to a task and subsequently acquiring new knowledge. 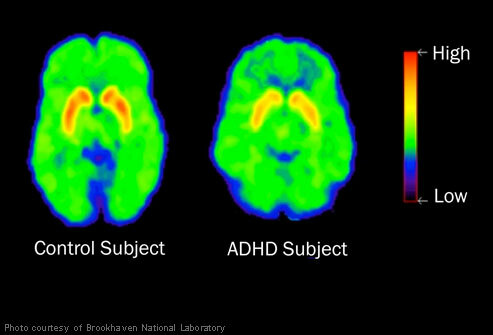 Defective dopamine utilization is widely suspected to play a role in ADHD . Poor quality white matter on these long-distance connections, as a consequence of insufficient supply of fat from the blood, would have a huge impact on the ability to pay attention and to learn new facts. A very exciting research direction that has been undertaken recently addresses the question of the rate of maturation of the brain . 223 children with ADHD were compared with 223 non-ADHD controls. The research utilized magnetic resonance scans to estimate the thickness of the cerebral cortex at more than 40,000 sample points at different positions along the brain surface. Typically, the thickness increases during childhood and then decreases during adolescence. From samples taken over a period of several years, researchers can pinpoint the point in time when the cortex is thickest. The results of the experiments were remarkable: children with ADHD reached peak thickness much later (on average at 10 and a half years old) than children without ADHD (on average at 7 and a half years old). The biggest delay showed up in regions of the prefrontal cortex (shown in the figure on the right) that control attention and motor planning. Such a delay in maturation would be a good conservation strategy if there is insufficient fat in the diet. By slowing down the growth rate of the cortex, less demand is placed to acquire adequate fat supply, needed to grow additional neurons and myelinated nerve fibers. The body's stunted growth (another characteristic of ADHD children) could even be a side effect of the need to delay the rate of maturation of the brain. Decreasing the concentration of growth hormone would likely affect both the brain and the body, leading to a consistent slowing down of maturation rates across the board. Fats are a much more stable energy source than carbohydrates. Sugars and starches, especially in the form of high glycemic index "empty carbs," are absorbed very quickly into the blood stream, causing a sharp spike in the glucose level. This in turn triggers the pancreas to inject a large amount of insulin into the blood, to promote the uptake of the glucose into the body's cells. Carbohydrates ingested without fats are absorbed much more rapidly than carbohydrates buffered by fat, because fat slows down the digestive process. Fats, being digested much more slowly, will become available as an alternative fuel source just as the carbohydrate supplies are becoming exhausted. But this is true only if sufficient fats are consumed with the meal. Very little excess glucose can be stored in the body for later use, unless it is first converted to fat. The liver can provide a small buffer of glucose stored in the form of glycogen, amounting to no more than 5% of its total mass. Once that capacity is exceeded, any remaining glucose in the blood must be converted to fat to be stored. A thin child whose diet consists mainly of empty carbs cycles between feast and famine in terms of glucose supply, but suffers chronically from an inadequate supply of fats. This places a lot of stress on the homeostasis system because of the gross imbalance between glucose and fat in the external fuel supply. A solution to this problem can be achieved by piling fat stores on the body, except that the fat stores themselves introduce additional energy needs and the strategy snowballs into obesity. For the ADHD person, instead of steadily accumulating fat stores and programming the muscles to preferentially consume fats, I argue that their bodies have adopted a strategy of fat conservation. The muscles are programmed to prefer glucose over fat, and the body size is minimized by reducing fat deposits, slowing down the maturation process, and stunting growth. As a consequence of the body's reduced needs for fats, more fat (but still not enough) is available to the brain to support its need to build myelin sheath for the expanding network of nerve fibers. I am becoming increasingly convinced that ketone bodies play an important role in ADHD. Ketone bodies are an alternative fuel source for the brain that becomes critically important when glucose levels in the blood are low . 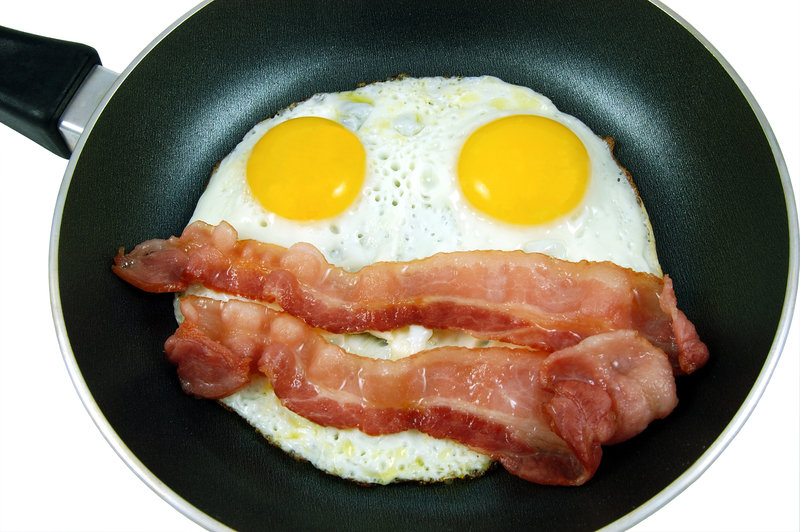 As has been said before, the brain is unable to utilize fatty acids as fuel. However, it can utilize ketone bodies, and thus their presence becomes a protective mechanism for the brain when glucose is in short supply. Ketone bodies are produced by the liver as a by-product of fat metabolism. In the absence of fats in the diet, significantly fewer ketone bodies are produced; i.e., the body derives more ketone bodies from dietary fat than from internally synthesized fats . Furthermore, and most significantly, certain specialized cells in the brain called astrocytes are also able to scavenge free fatty acids from the blood and manufacture ketone bodies from them. It is hypothesized that ketone bodies in the brain can also act as "cellular substrates, thereby preserving neuronal synaptic function and structural stability." (, abstract). I suspect that astrocytes may be able to accumulate stores of ketone bodies that can serve both as fuel for the brain in times of glucose deficiency, and to assure that important signals such as dopamine get transmitted across synaptic junctions. But insufficient dietary fats will significantly reduce the availability of this critical nutritional resource. It is curious that the incidence of ADHD is much higher in boys than in girls. 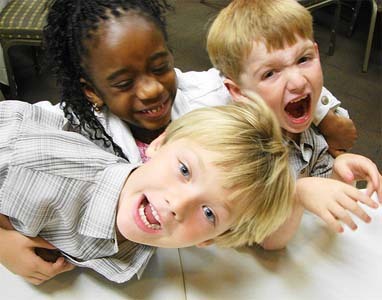 Some estimates claim that the ratio of boys to girls diagnosed with ADHD is as high as 10:1. In the context of a theory that ADHD is caused by fat insufficiency, what are the factors that might afford protection for girls? First of all, the ratio of fat to muscle in girls is generally much higher than in boys. For the same body weight and size, a girl will have significantly more subcutaneous fat, as contrasted with a much higher muscle-to-fat ratio for a boy. This implies that the supply of bioavailable fats will be significantly higher for girls than for boys. Secondly, and most importantly, the female hormone estrogen is a powerful weapon for increasing fat metabolism. Exactly how this is accomplished remains somewhat unclear, but it has been hypothesized that estrogen achieves this effect by stimulating an increase in both growth hormone and adrenaline. Growth hormone has been demonstrated to increase mobilization of fatty acids from fat tissue , and it is well known that adrenaline does this too . Growth hormone also inhibits insulin production, and reduced insulin at the outset would greatly improve the odds of getting insulin levels sufficiently suppressed to allow fat mobilization. Several investigators have studied gender differences in plasma free fatty acids in response to exercise, and have shown that females end up with significantly higher levels of fatty acids in the blood after an equivalent amount of exercise than do their male counterparts . Thus, the extra fat cells, the enhanced mobilization of fat from these fat cells in general, and the enhanced effect of exercise on fat release all likely contribute to the significantly reduced likelihood of a girl succumbing to ADHD than a boy. Dopamine is an incredibly important hormone that is released from the substantia nigra in the midbrain and relayed to other parts of the brain through three principal neural pathways: the nigrostriatal pathway to the cerebellum to control body movement, the mesolimbic tract to the reward center and seat of emotion, and the mesocortical tract to the frontal lobes of the cerebral cortex that control high level planning and reasoning. These pathways are part of the white matter that is shrunken in size in the ADHD child's brain. With poor transmission speeds and an inability to maintain a strong signal, these poorly insulated pathways dissipate the message that the dopamine is trying to send. A recent study by Dr. Nora Volkow compared the brains of 53 nonmedicated ADHD adults with those of 44 healthy non-ADHD adults over the period from 2001 to 2009, using positron emission tomography (PET) brain imaging . The study focused on dopamine receptors, which propagate the signal to distant parts of the brain, and dopamine transporters, which recycle excess dopamine after the signal is transmitted. The study found that both receptors and transporters were reduced in number in the ADHD brains as compared with the normal controls. The receptor count is likely reduced as a consequence of the slow and inefficient transport across the networks. The transporters are reduced in turn in order to slow down the process that sends the dopamine back into storage. This allows the dopamine to stay in the synapse for a longer period of time. Ritalin achieves a similar effect, and this is believed to be the main reason why it is effective. Research on rats has shown that dopamine release is severely impaired in the absence of insulin . This may be an intentional design as protection against releasing dopamine when there is insufficient glucose to fuel the resulting brain activities. However,the ADHD child, who has an efficient glucose metabolism, must deplete the excess insulin before fats from fat stores can be released. Meanwhile, the dopamine supply is exhausted while trying to send signals over faulty networks, and the release of fats comes too late to be effective. The brain needs fats as well as glucose for acquiring new knowledge - to reconfigure and reinforce the neural connections. The ADHD child is trapped in a catch-22, because, in order to get at the fat stores, the insulin levels must be low, but if the insulin levels are low, glucose is also likely low (since the insulin is so efficient) and, as well, the dopamine release will be suppressed. A child who consumes a low-fat diet and has very efficient glucose metabolism will likely never have, simultaneously, sufficient blood levels of dopamine, fats and glucose. As soon as the insulin levels are sufficiently low to allow the fats to be released, the glucose and dopamine are likely already depleted. With little fat in the dietary sources, and with impoverished and insulin-suppressed fat cells, it is difficult to imagine where the fat supply for the brain is going to come from. In my article on obesity, I argued that calcium deficiency plays an important role because calcium is necessary for the release of insulin from the pancreas and for the uptake of glucose by the muscles. Obesity is strongly associated with both calcium deficiency and insulin resistance, and I argue that the fat cells compensate by inserting themselves into the energy chain. They take upon themselves the task of converting glucose to fat, and they program the muscles to strongly prefer fat over glucose as an energy source. In the process, they hoard calcium and vitamin D, and cause measurable deficiencies in these important nutrients in the blood serum. It is likely that some ADHD children may suffer from calcium deficiency as well, mainly as a consequence of vitamin D deficiency, a syndrome that is at epidemic proportions in the U.S (Vitamin D Deficiency Epidmemic). Probably the most significant nutritional role of vitamin D is its ability to promote both the absorption of calcium from the gut and the transport of calcium across membranes, a process that is extremely important in many aspects of metabolism and brain function. ADHD children tend to be stunted in growth, and their levels of growth hormone are abnormally low. Extending the length of a bone requires an enormous amount of calcium. Thus, by keeping the bones short, the calcium that would have gone into bone growth can be diverted to assure an adequate supply of insulin and an efficient glucose uptake mechanism in the muscle and fat cells. It could be that ADHD children also sacrifice calcium levels in the brain in order to assure enough calcium for the efficient metabolism of glucose, which is extremely essential when the body is relying mainly on glucose as an energy source. Evidence that calcium channels in the brain are important for memory comes from the surprising result from a study involving 1,268 people who were being treated for high blood pressure (Calcium Blockers and Memory). The study found that people who take calcium blockers to lower blood pressure score less well on memory tests than people who use other medicines to lower blood pressure. Studies using Magnetic resonance Imaging (MRI) verified brain damage in the white matter of the brains of the people who used calcium blockers. If ADHD children are deficient in calcium in their brains, they are also likely less able to utilize ketone bodies as an energy source in the brain. This conclusion comes indirectly from studies involving alzheimer's patients. It has been found that alzheimer's patients' brains are deficient in the ability to utilize glucose for fuel, and, as a result, regulatory control mechanisms have led to an increased supply of calcium in the brain, which plays an essential role in the metabolism of ketone bodies . This allows them to efficiently use ketone bodies instead of glucose as a fuel source. The converse of this observation is that reduced calcium in the brain would interfere with ketone body metabolism, leaving the brain even more vulnerable to situations of reduced blood glucose levels. Vitamin D itself plays an important role in brain function, in addition to its influence on calcium, as implied by the existence of a wide distribution of vitamin D receptors throughout the brain  (Vitamin D and the Brain) . Vitamin D also affects proteins in the brain that are directly involved in learning and memory, as well as motor control. It may be that, for some ADHD children, insufficient vitamin D is even the main cause of their symptoms. Fat cells are part of the endocrine system, and, as I've discussed before, they have the power to influence the degree to which muscle cells prefer glucose versus fats as an energy source. They exercise this control by releasing two signaling peptides: leptin and adiponectin. Adiponectin promotes glucose consumption by the muscles, and it also acts directly on the fat cells to encourage them to take up glucose and convert it to fat. Leptin, on the other hand, stimulates the muscles to prefer fat consumption over glucose consumption. Statistically, children with ADHD have an abnormally efficient glucose metabolism rate, i.e., for the same amount of insulin, blood sugar levels drop more quickly after a meal than in other children. This observation suggests that their fat cells have arranged a set point of a high adiponectin to leptin ratio, such that the muscles prefer glucose over fats, and fat cells are predisposed to convert glucose to fat. The glucose levels drop more quickly because the muscles and fat cells are using more of it. Anorexics, children who intentionally starve themselves, are known to have extremely efficient glucose metabolism (tend towards hypoglycemia) and also to have a high ratio of adiponectin to leptin concentrations . This strategy maximizes availability of fatty acids to the heart and brain. It is curious that anorexia is much more common in girls, and ADHD is much more common in boys. Researchers at Harvard Medical School suspected that there might be an association between anorexia and ADHD. To test this hypothesis, they compared girls with ADHD against a control group to see whether the ones with ADHD were predisposed towards anorexia (ADHD and Anorexia). The results showed that girls with ADHD were 3.6 times more likely than the control group to develop an eating disorder. I have come to believe that anorexia is a technique to combat ADHD that girls are able to adopt, whereas boys do not have enough fat cells to carry out the task of converting glucose to fat. Ritalin is well known to reduce appetite, and long term use can lead to an anorexia-like condition. It may well work, in part, because it achieves this ultra-thin state, thus conserving fats by minimizing the consumption of fat by cells that can get by on glucose. The incidence of symptoms associated with deficiencies in fatty acids, such as dry hair and skin, excessive thirst and frequent urination, has been observed to be higher in ADHD children as compared with the general population . It has been proposed by many researchers that ADHD children are deficient in essential fatty acids, and omega-3 fat supplements are often prescribed as part of their treatment program . A study involving 96 boys from schools in Indiana, 53 of which had been diagnosed with ADHD, looked at the concentrations of fatty acids found in blood plasma . It was determined that the ADHD children as a group had significantly lower amounts of essential fatty acids (omega-3 and omega-6 fats) in their blood than did the controls. Furthermore, among the ADHD group, the 21 subjects who also manifested many symptoms of essential fatty acid deficiency had further depleted serum levels than the other 32 subjects with ADHD. A recent study has shown that adolescents diagnosed with ADHD are significantly more likely to suffer from sleep disorders such as insomnia, sleep terrors, nightmares, and snoring, compared to controls. I suspect these problems during sleep stem from insufficent fats. The brain is unable to properly integrate the newly acquired knowledge and experiences of the day before into long term memory stores, due to the insufficient supply of fats to build the myelin sheaths surrounding newly constructed nerve fibers and reinforcements. These deficiencies in resources critical to the goals of sleeping may be the source of extreme restlessness, wakefulness, and night terrors. One of the well-known characteristics of ADHD children is that they are fidgety. Whenever they are trying hard to concentrate, they are in constant motion, unable to sit still, and it has been hypothesized that such kinesthetics actually help them think. One way random movements could be effective is through activating dopamine release. Dopamine plays a critical role in body movement: people with Parkinson's disease are unable to initiate movement and appear paralyzed unless treated with the dopamine precursor, L-dopa. I hypothesize that, through random movements of their limbs, ADHD children are able to stimulate the release of dopamine, and thus increase its bioavailability for the important other roles involved in attention and learning. A further benefit of the random movements is that they involve anaerobic metabolism of glucose, which consumes the glucose stores in the muscles and releases lactic acid into the blood stream. While lactic acid had been generally considered to be a waste product, it has recently been discovered, quite remarkably, that the heart is able to metabolize lactic acid directly as an alternative source of fuel . This has the effect of sparing fatty acids that the heart would otherwise consume. Furthermore, and, most surprisingly, the brain can also utilize lactate as a fuel source . The brain's consumption of glucose falls substantially after extended anaerobic exercise, since it can also exploit the lactic acid that builds up in the blood as a by-product of anaerobic glucose metabolism. Thirdly, the depletion of glucose in the muscles is followed by replenishment of the muscles' private stores, which will use up insulin in the process. This accomplishes the important goal of driving down the insulin levels so that the fat cells and liver can release more fats into the blood. Finally, and perhaps most importantly, exercise stimulates the release of adrenaline from the sympathetic nervous system, and adrenaline is the most significant hormone for allowing fat release from the fat cells, even in the presence of excess insulin . Thus, all of these contributions, the production of lactic acid which can be used by the heart for fuel, the depletion of insulin, and the activation of adrenaline, which will actively promote the release of fats, will contribute towards the goal of increasing the fat supply available for the brain. In the United States, a popular drug to treat ADHD is Ritalin. It is estimated that as many as 10% of the children in the U.S. now take Ritalin or another stimulant , and the U.S. consumes 90% of the Ritalin being manufactured worldwide. Since ADHD children suffer from a reduced number of dopamine receptors in the brain , it is hypothesized that Ritalin is effective because it prevents the reuptake of dopamine and allows it to stay in the intercellular spaces for a substantially longer time. Ritalin has a calming effect on ADHD children. This is understandable since Ritalin both increases the bioavailability of dopamine and suppresses insulin's ability to block fat release from storage sites; i.e., it accomplishes the same two goals that random movements try to accomplish. However, children on Ritalin complain that it results in an initial burst of energy with a racing heart, followed by a period of physical exhaustion (, p. 112). The energy burst is associated with the adrenaline rush, and the exhaustion is likely a consequence of depleted supplies of both fats and glucose, once the Ritalin has worn off. 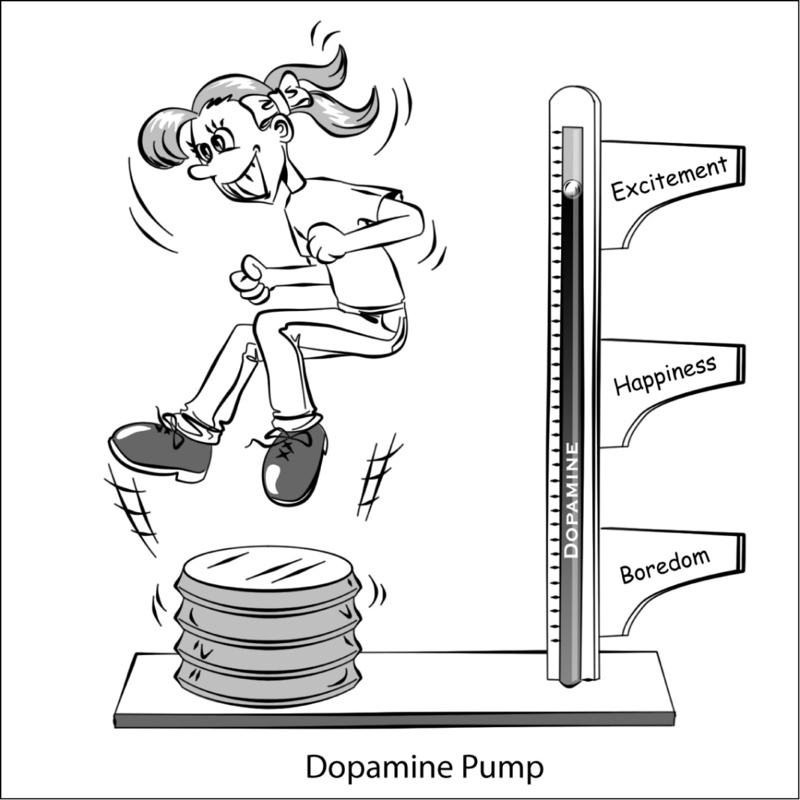 Dopamine is a precursor to adrenaline, the "fight or flight" hormone. If dopamine is allowed to linger longer in a bioavailable state through the action of Ritalin, then adrenaline levels will go up. Adrenaline is a very powerful hormone with diverse effects on the body, mainly aimed at increasing fuel supply to the blood in the short term, i.e., to operate in crisis mode. One crucial effect adrenaline has is to disable insulin's suppressive effect on the fat cells . This allows them to release their fats even while insulin levels are high. Ritalin thus enables the brain to be simultaneously well supplied with glucose for fuel, fat for nerve fiber construction, and dopamine to control execution of the focus and memory consolidation tasks involved with learning new knowledge. Through its effect of increasing adrenaline levels, Ritalin also suppresses appetite. In the "fight or flight" reaction, the digestive system is shut down, in order to conserve energy, since the digestion process itself consumes energy. Nearly all ADHD children on Ritalin lose weight, and many become dangerously thin over time. A positive effect of reduced appetite is that it likely leads to an increase in the bias towards glucose consumption and fat conservation, as I argued in the section on anorexia. However, in the long term, the depleted fat reserves eventually further aggravate the original problem of insufficient fat supply. It seems to be remarkably easy to pursuade most Americans that popping a designer pill is the answer to nearly all problems. There is great irony, however, in the fact that many children in America are told, on the one hand, to "say 'no' to drugs," and then, on the other hand, to take a drug which is in many ways equivalent to amphetamines like speed and cocaine. Increasingly, friends of ADHD children are obtaining the drug and then snorting it or shooting it like cocaine to achieve an intense high (Ritalin Abuse). And the children are often naive about the dangers of Ritalin, thinking that, if doctors prescribe it for young children, it must be harmless. Dr. Peter Breggin has become a strong advocate of the idea that widespread Ritalin use in America is causing far more harm than good. His book, Talking back to Ritalin,  presents a compelling argument that, despite the assurances from doctors that it is a safe drug, Ritalin is a very close cousin to amphetamines and exhibitis all of the same dangerous properties leading to addiction and abuse. He cites a 1998 study  which showed that the use of a childhood stimulant such as Ritalin "is significantly and pervasively implicated in the uptake of regular smoking, in daily smoking in adulthood, in cocaine dependence, and in lifetime use of cocaine and stimulants." He also points out that Ritalin is classed with amphetamines in terms of its clinical effects. Ritalin is labelled "Schedule II" by both the DEA and the International Narcotics Control Board. Schedule II for a prescription drug indicates the highest possible potential for abuse. A study comparing Ritalin with cocaine claimed that "Methylphenidate [Ritalin], like cocaine, increases synaptic dopamine by inhibiting dopamine reuptake, it has equivalent reinforcing effects to those of cocaine, and its intravenous administration produces a 'high' similar to that of cocaine" . Aside from its potential for abuse, and its potential to lead to abuse of other drugs later in life, long term Ritalin use, as prescribed, leads to several other adverse health issues. The shutting down of the digestive system suppresses appetite, with subsequent weight loss and stunted growth. By simulating a "fight or flight" reaction, it increases both blood pressure and heart rate , and may do other unknown damage to the heart. In March, 2000, a 14-year old boy, Matthew Smith, fell off his skate board and died suddenly. A subsequent autopsy showed severe heart damage, which the coroner suspected was due to the fact that he had been taking Ritalin since he was six years old. This has stirred up considerable discussion among parents of ADHD children regarding the safety of long-term Ritalin use (Matthew Smith Ritalin Discussion). Parents are now urged to screen their children for possible heart conditions if they are considering Ritalin as a treatment option. More ominously, by overworking the dopamine system, long term Ritalin use may lead to Parkinson's disease much later in life. It has been demonstrated that other drugs that affect the dopamine system can cause Parkinson's disease. Through population studies, amphetamine use many years before was correlated with Parkinson's disease much later in life . 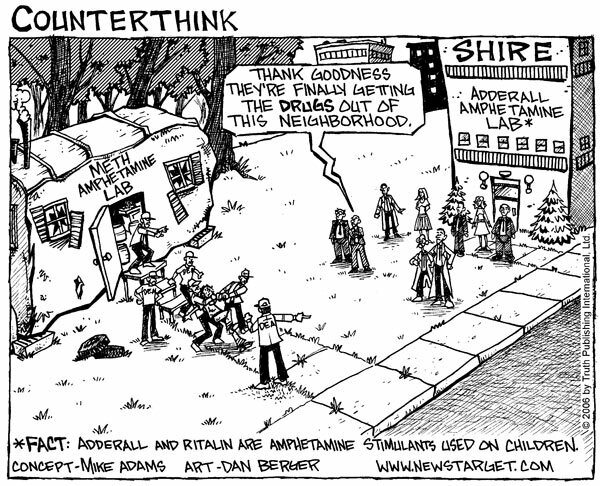 Adderall, another popular drug for treating ADHD, is an amphetamine, and Ritalin is a close cousin. In 1983, a defective batch of the street drug, synthetic heroin, also known as "China White", hit the streets of San Francisco, and a number of addicts who were unfortunate victims of this mistake acquired severe irreversible Parkinson's disease after just a single dose, due to the neurotoxin MPTP inadvertently present in the drug. While such a dramatic instantaneous effect would not be expected to occur with Ritalin, it is impossible to predict what will happen long term. I hope I am wrong, but I believe it is likely that we will see a substantial increase in the incidence of Parkinson's disease later in life among today's Ritalin and Adderall users. In this section, I will present my own ideas on how children with ADHD can, with time, improve their brain function and reduce their dependence on Ritalin. First of all, I want to remind you that I am not an M.D. My doctorate from MIT is in electrical engineering. However, my PhD thesis concerned an auditory model for human speech processing, and thus required extensive reading on neural mechanisms in the brain. My Bachelor's degree from MIT is in biology, with a minor in food and nutrition. I benefit strongly from having been exposed to ideas about nutrition before the low-fat diet craze got its firm grip on our nation's population. The first step towards healing is to discard the idea that fats are unhealthy. I recommend reading any of the following books, which have covered the subject extensively, Good Calories Bad Calories by the New York Times reporter, Gary Taubes , Fat and Cholesterol are Good For You, by Uffe Ravnskov, a Swedish M.D., Ph.D. , and Trick and Treat: How 'Healthy Eating' is Making us Ill, by the British researcher and writer, Barry Groves . We have been led by the American medical community to believe that a high-fat diet leads to heart disease, and that increased dietary consumption of fruits and vegetables is a heart-healthy choice. However, a recent (2009) long-term population-based study in Sweden has concluded that fruits and vegetables provide no heart-health benefit at all unless they are consistently eaten with fats . The researchers conducted extensive interviews with several thousand men in rural Sweden about their food practices, and also carefully monitored their heart health status over a 12-year period. Surprisingly, they found no association between coronary disease and the consumption of fish or wholemeal bread, and no association with the consumption of fruits and vegetables, for those who also chose low fat dairy, or consumed little dairy. The only clear benefit they could find was with a combination of lots of fruits and vegetables and high-fat dairy consumption. They hypothesized that the high fat dairy was required to promote the absorption of the vitamins and minerals contained in the fruits and vegetables. However, if they are eating both lots of fat and lots of fruits and vegetables, they are probably also eating few empty carbs. A corollary of this result is that a person who avoids fat is likely deficient in vitamins and minerals, even if they consume a lot of fruits and vegetables. Once a mother no longer fears fats, she can begin to change her child's diet, with the goal of over-correcting the fatty acid deficit through a high fat, very low carb, diet. An increase in the consumption of meat, fish, and eggs should be balanced with a decrease in the consumption of sugar and starch. Foods containing trans fats should be carefully avoided. Improvements will probably not be dramatic, as it will take a long time for the child to repair all the poorly insulated nerve fibers that are suffering from insufficient fat supply. I can not predict how quickly or how completely a child who has suffered from dietary fat deficiency throughout its life can recover, once the dietary correction is in place. Of course, the best action would be to avoid the problem in the first place, and this begins with the pregnant mother. It is especially important for her to consume an abundance of omega-3 and omega-6 fats while she is carrying the baby, and to continue to do so once the baby is born, to assure a high-quality milk supply to her child. A recent analysis of data from the Nurses' Health Study, an ambitious long-term study involving over 18,000 nurses, showed that fat in dairy consumption was associated with high fertility. Women who said they ate low-fat diary increased their risk of infertility by 85%, whereas women who consistently ate high-fat dairy decreased their risk by 27% . Fertility is an indicator of the degree to which the body perceives that it is prepared to support a fetus. Breast milk has an extremely high fat content, significantly higher than that of cow's milk. It then seems logical that, once mother's milk is replaced with table foods, these foods should continue to be high in fat content. I find Ritalin to be a very disturbing drug, particularly because it is a synthetic drug and because it has been on the market for a relatively short time. We have no idea what will happen to children currently taking Ritalin 40 or 50 years hence. Alarm bells have already been raised regarding possible addiction and abuse, appetite loss and subsequent malnutrition and stunted growth, and adverse effects to the heart. Other stimulants that occur in nature have been used by humans for hundreds of years, and they would likely be safer than Ritalin if they can achieve the same goals. I am thinking of caffeine, chocolate, and even nicotine. It's possible that nicotine is no better than Ritalin, with its known issues regarding the potential for addiction and increased risk for heart disease and lung cancer. But a nicotine patch, which avoids the issue of tar exposure in the lungs leading to lung cancer, is at least an alternative that should be considered instead of Ritalin. Coffee is a particularly attractive choice -- it has been extremely well studied and appears to have very few if any adverse side effects. It has been shown to improve memory, and it works in part because, in addition to increasing adrenaline levels, it acts directly to disable insulin's suppression of fat release , which I consider to be one of the most important goals of an ADHD drug. Chocolate is a stimulant that children will find especially appealing, and chocolate milk (made from whole milk) would be a great way to introduce it. ADHD is a syndrome manifested mainly by hyperactivity and inattentiveness. It affects as many as 10% of boys in the U.S., and perhaps 3% of girls. Children are usually diagnosed during the first few years in school, although it is often believed that they have suffered from the condition since birth. Increasingly, treatment involves a prescription of Ritalin, a drug that has been shown to be effective in calming them down and improving attention span, often leading to higher grades at school. The syndrome was not even listed in the first edition of the DSM (Diagnostic and Statistical Manual of Mental Disorders) issued in 1968, but appeared in the second edition, released in 1980. During the intervening period, the message that dietary fats are harmful to health first made its appearance . I agree with Peter Breggin when he claims in his book Talking back to Ritalin that long term Ritalin use will likely lead to many dire consequences down the road. However, he also claims that ADHD is a fake disease, concocted purely to stuff the pockets of the pharmaceutical industry executives. I try to imagine what it would be like to be a parent of an ADHD child, reading that ADHD is caused purely by social influences -- that the inattentiveness and hyperactivity are due to a dysfunctional family life and/or an unstimulating school environment. I am reminded of the time when autism was blamed on poor parenting. A mother who has done everything she can to create a nurturing environment but has seen no improvement in her child's symptoms must feel very besieged, frustrated, and discouraged. I believe that ADHD is a real syndrome with a strong genetic component. However, I have argued that the genetic aspect is manifested as a greater susceptibility to brain dysfunction as a consequence of insufficient fats in the diet. This includes the diet of both the child and the mother while she carried the child to term, and while she nursed the child. I believe that symptoms will improve slowly over time if the child's diet is simply adjusted to include more meats, eggs, fish, and high-fat dairy, while minimizing the consumption of empty carbs. Unfortunately, I doubt that the symptoms will ever go away entirely, especially if the child is already a teenager by the time the change is implemented. I do not know how much of the damage in neural connections in the brain and nervous system can be repaired long after critical developmental milestones have passed. However, children's brains have been shown to be remarkably resilient after brain injury, so we can hope that significant improvement can take place over time. Of course "an ounce of prevention is worth a pound of cure." Anyone who is thinking of starting a family would be wise to change their diet in anticipation of the coming pregnancy -- to stop worrying about the mistaken belief that animal fats are unhealthy, and switch to high-fat dairy, meats, fish, and eggs instead of sugar-laden drinks and starchy foods. I find it impossible to blame the mother for the problem -- she is only executing on both subliminal and overt messages claiming that dietary fat is unhealthy and will lead to obesity and heart disease. She is trying her best to provide her child with a healthy diet according to strong advice from both the U.S. government and the American medical establishment. I therefore expect ADHD to persist unabated in the U.S. until the authoritarian figures finally recognize and acknowledge their error, and change their tune regarding dietary fat. It is very disturbing to think of how many years it may take for them to own up to the huge mistake they have made by advocating low-fat diet, and the enormous anguish it has caused. Many thanks go to Jody Caraher, Victor Zue, and Michael McCandless, who carefully read early drafts of this document and offered very helpful suggestions. It is much improved due to their collective efforts. J.E. Ballard, R.A. Boileau, E.K. Sleator, B.H. Massey and R.L. Sprague, "Cardiovascular responses of hyperactive children to methylphenidate." JAMA (1976) Dec 20;236(25):2870-4. F.K. Blatchford, R.G.Knowlton, and D.A. Schneider (1985) "Plasma FFA responses to prolonged walking in untrained men and women," European Journal of Applied Physiology (1985), Vol. 53, pp. 343-347. P. R. Breggin, M.D., Talking Back to Ritalin: What Doctors aren't Telling you about Stimulants and ADHD , revised edition, Da Capo Press, Cambridge, MA, 2001. J.R. Burgess et al., "Essential fatty acid metabolism in boys with attention deficit-hyperactivity disorder," American Journal of Clinical Nutrition 1995; 62, pp. 761-68. F.X. Castellanos et al., "Developmental trajectories of brain volume abnormalities in children and adolescents with attention deficit hyperactivity disorder," JAMA (2002), Vol. 288, NO. 14, pp. 1740--1748. J. C. Chatham, "Lactate: The Forgotten Fuel," J. Physiol. (2002) Vol 542(2), p. 333. Jorge Chavarro, Walter C. Willett, and Patrick J. Skerrett, The Fertility Diet, McGraw Hill, 2008. D. Coghill and T. Banaschewski, "The genetics of attention-deficit/hyperactivity disorder," Expert Rev Neurother (2009) Oct, Vol. 9 No. 10, pp. 1547-65. E.R. Garwood, W. Bekele, C.E. McCulloch and C.W. Christine, "Amphetamine Exposure is Elevated in Parkinson's Disease," NeuroToxicology, Vol. 27, No. 6, December 2006, Pages 1003-1006. Barry Groves, Trick and Treat: How 'Healthy Eating' is Making us Ill, Hammersmith Press, 2008. M. Guzmán and C. Blázquez, "Ketone body synthesis in the brain: possible neuroprotective effects." Prostaglandins Leukot Essent Fatty Acids (2004) Mar, Vol. 70, No. 3, pp. 287-92. E. Heininger, "A unifying hypothesis of Alzheimer's disease. IV. Causation and sequence of events," Rev Neurosci. (2000) Vol. 11 Spec No:213-328. S. Holmberg, A. Thelin and E.-L. Stiernström, "Food Choices and Coronary Heart Disease: A Population Based Cohort Study of Rural Swedish Men with 12 Years of Follow-up," Int. J. Environ. Res. Public Health (2009) Vol. 6, pp. 2626-2638; doi:10.3390/ijerph6102626. G. Hornstra, "Essential fatty acids in mothers and their neonates," Am. J. Clin Nutr. (2000) Vol 71 (5 suppl), pp. 1262S-1269S. M. Kinsbourne, "Sugar and the hyperactive child," New England Journal of Medicine, (1994) Feb 3, pp. 355-356. N. Lambert and C.S. Hartsough, "Prospective study of tobacco smoking and substance dependence among samples of ADHD and non-ADHD subjects, Journal of Learning Disabilities (1998) Vol. 31, pp. 533-534. L. Langseth and J. Dowd, "Glucose tolerance and hyperkinesis," (1978) Food Cosmet. Toxicol. Vol. 16, p. 129. J.C. McCann and B.M.Ames BN, "Review Article: Is there convincing biological or behavioral evidence linking vitamin D deficiency to brain dysfunction," FASEB J. (2008) Vol. 22, pp. 982-1001. D. Modan-Moses, D. Stein, C. Pariente, A. Yaroslavsky, A. Ram, M. Faigin, R. Loewenthal, E. Yissachar, R. Hemi, and H. Kanety, "Modulation of Adiponectin and Leptin during Refeeding of Female Anorexia Nervosa Patients," The Journal of Clinical Endocrinology & Metabolism, Vol. 92, No. 5, pp. 1843-1847. S.H. Mostofsky, A.L. Reiss, P. Lockhart and M.B. Denckia, "Evaluation of cerbellar size in attention deficit-hyperactivity disorder," Arch. Gen. Psychiatry, (1996) Vol. 53, No. 7, pp. 607--616. H. Okuda, Y. Saito, N. Matsuoka and S. Fujii, "Mechanism of Adrenaline-induced Lipolysis in Adipose Tissue," J. Biochem, (1974) Vol. 75, No. 1, pp. 131-137. F. Ottoboni, M.P.H., Ph.D, and A. Ottoboni, Ph.D., "Can Attention Deficit-Hyperactivity Disorder Result from Nutritional Deficiency? ", J. American Physicians and Surgeons, Vol. 8, No. 2, Summer, 2003. W.A. Price, Nutrition and Physical Degeneration, Los Angeles, Calif., Keats Publishing ;1998 (First Edition, 1939). B. Quistorff, N.H. Secher and J.J. Van Lieshouts, "Lactate fuels the human brain during exercise", The FASEB Journal (2008), Vol. 22, pp. 3443-3449. doi: 10.1096/fj.08-106104. U. Ravnskov, M.D., PhD, Fat and Cholesterol are Good For You,, G. B. Publishing, Sweden, 2009. A. Richardson and B. Puri, "Randomized double-blind, placebo-controlled study of the effects of supplementation with highly unsaturated fatty acids on ADHD-related symptoms in children with specific learning difficulties," Prog Neuropsychopharmacol Biol Psychiatry, Vol 26(2), 2002, pp. 233-9. R.A. Robergs, and S.O. Roberts, Exercise Physiology: Exercise, Performance, & Clinical Applications, (1997) WCB McGraw-Hill, Boston, MA. P. Shaw, K. Eckstrand,W. Sharp, J. Blumenthal, J.P. Lerch, D. Greenstein, L. Clasen, A. Evans,J. Giedd and J.L. Rapoport, "Attention-deficit/hyperactivity disorder is characterized by a delay in cortical maturation", Proceedings, National Academy of Sciences (2007) December 4,, Vol. 104, No. 49, pp. 19649-19654. Silver L.B. Attention-Deficit Hyperactivity disorder. Clinical guide to diagnosis and treatment. Washington: American Psychiatric Press Inc, 1992: 129-134. N. Sinn, "Physical fatty acid deficiency signs in children with ADHD symptoms," Prostaglandins Leukot Essent Fatty Acids (2007) Aug; Vol. 77 No. 2, pp. 109-15. Epub 2007 Sep 6. L.J. Stevens et al. "Essential fatty acid metabolism in boys with attention-deficit hyperactivity disorder," Am J Clin Nutr (1995) Vol. 26, No. 8, pp. 406--411. Gary Taubes, Good Calories Bad Calories:Challenging the Conventional Wisdom on Diet, Weight Control, and Disease., Alfred A. Knopf., 2007. N.D. Volkow, G.J. Wang, S.H. Kollins, T.L. Wigal, J.H. Newcorn, F. Telang, J.s. Fowler, W. Zhu, J. Logan, Y. Ma, K. Pradhan, C. Wong, and J.M. Swanson, "Evaluating dopamine reward pathway in ADHD: clinical implications." JAMA (2009) Sep 9; Vol. 302, No. 10, pp. 1084-91. N.D. Volkow, Y.-S. Ding, J.S. Fowler, G.-J. Wang, J. Logan, J.S. Gatley, S. Dewey, C. Ashby, J. Lieberman, R. Hitzemann and A.P Wolf, "Is methlphenidate like cocaine?" Archives of General Psychiatry, (1995) Vol. 52, pp. 456--463. I.T, Yamamoto and M. Sugano, "Effect of dietary fat on lipid secretion and ketone body production in rat liver," J Nutr Sci Vitaminol> (Tokyo) (1984) Apr, Vol. 30 No. 2, pp. 153-62. Is ADHD Caused by Insufficient Dietary Fat? by Stephanie Seneff is licensed under a Creative Commons Attribution 3.0 United States License.